Yet another big music show took place this week! On the 22nd February, the biggest stars of the Korean music industry gathered in the Jamsil Arena in Seoul for an awards ceremony held by the national music record chart ‘Gaon Chart’. As it is based on a music chart, the focus is more towards individual songs, and not albums or artists. Hosted by Super Junior’s Leeteuk & Mamamoo’s Solar, this event saw big names win awards for their efforts in 2016. Many rookie groups made their debut last year, such as Pentagon, Astro and K.A.R.D. However, SM’s NCT127 and YG’s BLACKPINK really deserve this award. 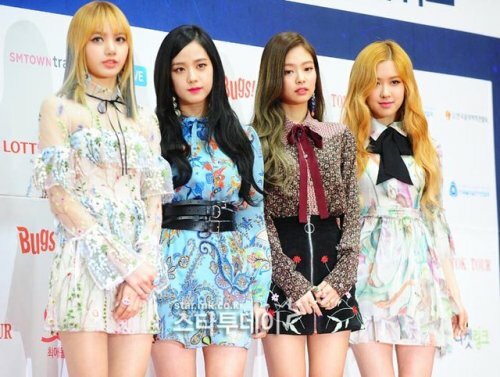 With BLACKPINK’s debut tracks soaring right to the top of Billboard’s World Digital Songs Chart and NCT127 amassing over 14 million views on their single ‘Fire Truck’, it’s no wonder they won! Let’s hope they’ll enjoy even more success this year! Having debuted in Korea in October 2015, R&B artist Dean has really been making a name for himself. He has collaborated with Koran hip-hop artists Zion. T, Crush, DOK2 among others and toured in the US, Asia and even made a surprise appearance on Crush’s Wonderlust Tour in London. We really love how Dean distinguishes himself as an artist and that he writes his own songs too. 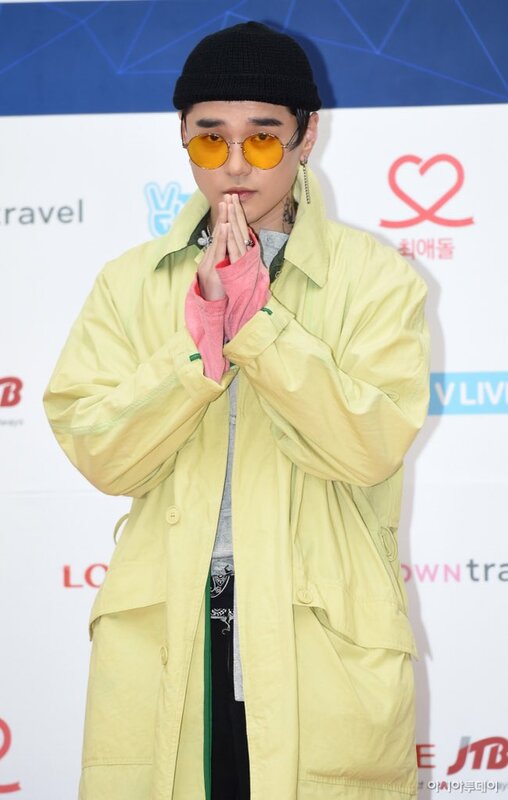 We wish him luck with promotions of his new songs ‘Come Over’ and ‘Unknown Guest’. EXO has been winning this award since it’s inception so it’s great they were able to keep up that trend! 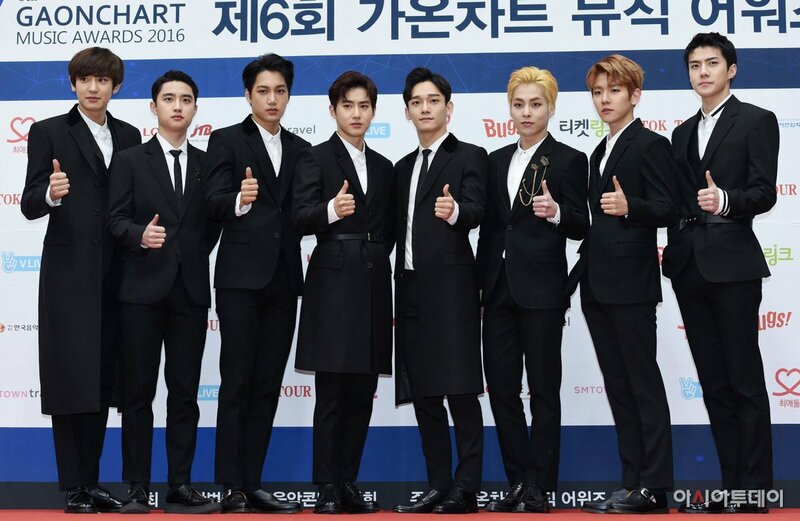 This year, there was also an award for an individual, which went to EXO member Sehun. Let’s hope they can keep this streak going! 2016 was an incredibly successful year for BTS so it makes sense that they won a popularity award. On that day member Jin had his graduation ceremony from university but unfortunately due to his schedule he was unable to attend. 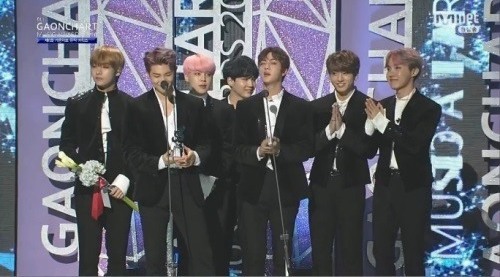 At least his group was able to win not only this award, but also one for album of the year in the fourth quarter for ‘Wings’. We’re sure they’ll win even more awards this year for new releases ‘Spring Day’, ‘Not Today’ and perhaps many more!  SHINee is a group who, after almost 9 years of activity, is still going strong today. Last year they released album ‘1 of 1’ and hit single ‘Tell Me What to Do’ in repackage ‘1 and 1’. As well as this, they’ve all been able to flourish in their solo careers. Sadly only Leader Onew was there to collect the award but we know all the members were with him in spirit. Hopefully we’ll hear more from them as a group soon! Music isn’t just about the idols. Composers, sound engineers and many more work behind the scenes to create the songs we love. We think all those people deserve to win awards too as recognition of their hard work. Someone’s talents who should be rewarded is BTS’ choreographer Song Seung Deuk. We love all of BTS’ dance routines from their songs and they’re all thanks to him! 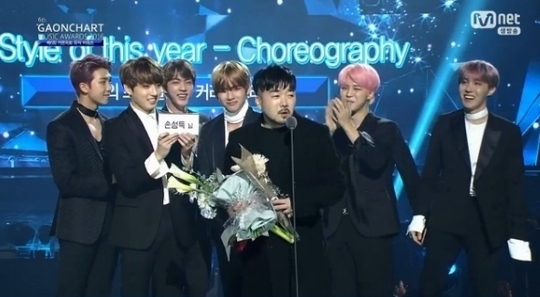 BTS’ producer Bang Shi-Hyuk also won an award which we know is richly deserved. That’s it from us! If you’d like to see the full list of winners, please click here. Let’s hope these awards will motivate the artists to create even more beautiful music this year!